While still in pre-order stage the first 7nm ASIC miner for Bitcoin (SHA256) – the 24 THS GMO B2 miner has been sold out. 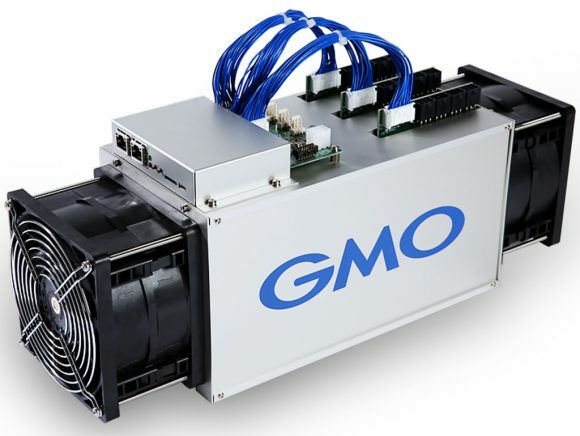 The Japanese company behind the project however is apparently ready with a successor – the GMO miner B3 that will be offering variable hashrate of 24-33 THS with 1950-3417 Watts of power usage respectively at the same price of 1999 USD. The new miners will come with 180 days of warranty and the price includes a 4 kW power supply as well. GMO is already taking pre-orders for the new B3 miners and you can pay using Bitcoin, Bitcoin Cash or USD with shipping expected to start in November 2018. The new GMO B3 ASIc miners come with the same base specifications, but there is an extra that allows the device to either automatically adjust performance or the user to optimize it so that it can reach up to 33 THS hashrate with reduced power efficiency. This feature is interesting as it will allow miners to increase performance at times when there is higher profit to be made and to reduce it when the profit is not that good. The extra performance at the same price as that of the original B2 miners does seem like an interesting upgrade, especially considering that you get an adequate power supply also included in the price. for the information, the asic is develloped in switzerland by a compagny that recently had been bought by the Japonese big compagny. So technicaly it’s a switz asic funded by a japonese firm. Do I get a free “How to cook your GMO miner” manual? Seriously these companys are so backwards. I would rather have a miner at 10 TH/s at 100 watts of power then 24 TH/s at 2000 watts of power. The power to profit ratio of the B2 or B3 is only 96 dollars a month what a freaking joke. Unless you like being broke and losing money this is the miner for you. I agree with Wolf, its a still born unit…shipping starts NOVEMBER(!!!) by that time complexity most likely will increase, bitmain will figure out their new model and will start shipping it BEFORE november, baikal will figure it out and will start shipping same month, dragon will be also having a model that will have better watt/$ ratios. The only good thing about it – it is MADE IN JAPAN. Those folks dont flock around when they make electronics and stand behind their quality.